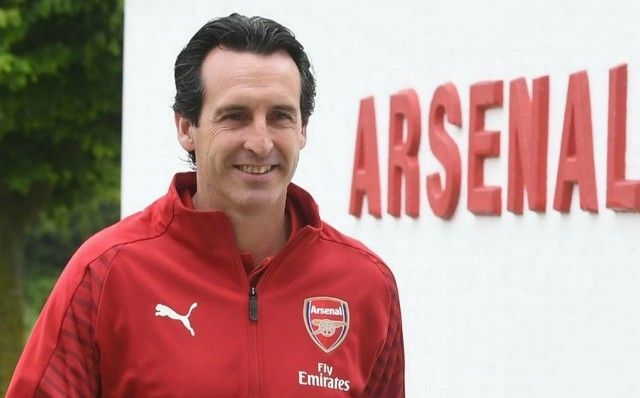 Home / arsenal / Unai Emery / What do you think of your club's transfer business so far? Rubbish? What do you think of your club's transfer business so far? Rubbish? Which group of fans are happiest with their club's transfer business thus far? Obviously, the transfer window deadline is at lot closer at hand than it normally is in July. Normally, clubs have until the end of August to secure the best available players, but this time for Premier League have voted to close their own window at 5pm on Thursday 9th August, the day before the opening fixture between Manchester United and Leicester City. Personally, I think it is better for business if players can be transferred at any time during the season, as the more money changes hands the richer the sport will become. On the flip side, I understand that constant transfer speculation can negatively affect players' performances, as was seen at the Emirates Stadium with a 'half-Arsenaled' Alexis Sanchez, who's head had been turned. Chelsea's Diego Costa, Liverpool's Philippe Coutinho and Virgil van Dijk were also 'victims' of conjecture, if you like, or perhaps it was the club's who suffered the most. Nevertheless, I think it was a retrograde move on the part of clubs (or stupidity on the part of the 14 that voted for the change), as it's all about the fans ultimately. Most supporters get excited when their club brings in new players. This activity puts bums on seats and results in more replica shirt sales so, to me, the Premier League's decision is like turkeys voting for an early Christmas. To make matters worse, foreign clubs can still unsettle players, as their transfer window closes at the end of August. Well, that's enough of that. Let's consider which clubs have been most successful on the transfer front so far. Arsenal fans are pretty excited as, with the new manager Unai Emery, there is a chance that 'proper coaching' will result in improved performances from the existing squad. Coming in have been Lucas Torreira (£26.5m from Sampdoria); Bernd Leno (£19.2m from Bayer Leverkusen); Sokratis Papastathopoulos (easy for you to say! £17.7m from B. Dortmund - where else? ); Matteo Guendouzi (£8m from Lorient); Stephan Lichtsteiner (so good they almost named a country after him - from Juventus on a free). Leno has impressed in training, according to most accounts, but floundered in a behind-closed-doors friendly, which wasn''t completely 'behind closed doors' or how would his so-called mistake have leaked out otherwise? Meanwhile, Sokratis didn't impress many with his performance against the 'mighty' Boreham Wood. However, it is too early to judge. Uruguay's World Cup star Torreira should shore up the midfield and add some much-needed aggression there, so much is expected of him. Lichsteiner will add pressure and bring the best out of Hector Bellerin, according to many pundits. Then again, I will not be surprised if Emery plays Lichsteiner at right back and plays Bellerin on the right side of midfield, as the Spaniard is better going forward than he is defensively. On the left side, the return of Lucas Perez (the prodigal son) from his loan spells could be like a new signing. Now that he is set to wear the number 28 shirt instead of the 'cursed' number 9 perhaps he will have more luck. I never understood why former Gunners boss Arsene Wenger didn't use Perez more frequently, but clearly Emery begs to differ with that erroneous policy. I expect Emery will use Perez on the left, which will allow Arsenal to use the flanks more effectively and break opponents down without having to always pass 'eye-of-a-needle' balls down the middle. Plenty of reason to be excited, then, for Arsenal fans! The only word of warning is too much change can be counter-productive, so the Gunners are probably wise to stop trading at this point. Nevertheless, do not be surprised if Aaron Ramsey moves on, as Arsenal do not want another Sanchez situation. They'll be less interest in Mesut Ozil, whose retirement from international football could be a good thing for Arsenal, as the German will want to prove his doubters wrong. All in all, this season looks promising for Arsenal fans!